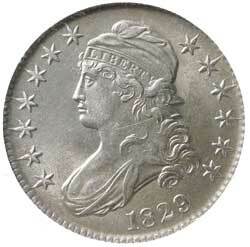 USA, CAPPED BUST HALF DOLLAR, 1829 (Overton-114, variety 3). 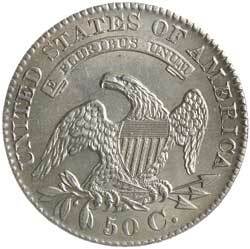 Lightly toned, nearly uncirculated, rare and desirable as such. In a slab by NNC as MS62.